Well! It has been a bit crazy bananas over here in Benner Fit land in the very best of ways. 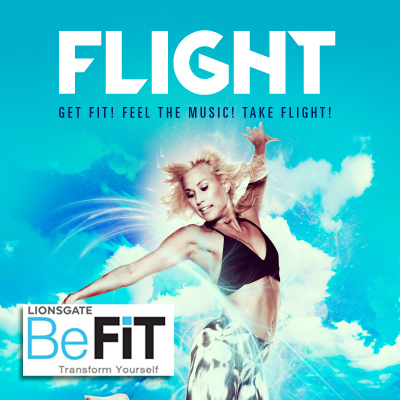 Sydney and I have been working hard over the last few weeks on her latest fitness venture FLIGHT and it premiered this weekend! We couldn't have been happier with the way it went down and are so very grateful for all of you who were able to make it out for the big day. And for all of you who have been supportive of what we are doing - THANK YOU! We heart you big time. More of that to be blogged about soon enough. Amidst the madness of prepping for Flight a few other AMAZING things happened. Like the fact that our first ever web show with the Scripps Network site uLive launched! Um... holy moly. About a year ago Sydney and I starting going through ideas for a show that would be featured on uLive, and ultimately it turned into a summertime fun-time extravaganza. We are so happy with how it turned out. The amazing folks over at Watch It Now did fantastic job with the day of shoot and editing. The whole crew was wonderful and the shoot was a blast! We took a little breather after the Flight class Saturday, so we don't have a new circuit for you this week - but check out all of the BennerFit fun over on uLive to hold you over until next Monday - ulive.com/bennerfit.